This machine was assembled from various parts from other machines, so "Frankenstein" was really the only logical name for it. Peninsula Iron Works, of Portland, Oregon, is one of the largest machine shops on the West Coast. They are the heavy fabrication, machine, and rebuild facility for many industries in the area. Peninsula works with owners, managers, and plant engineers to provide engineered solutions to complex mechanical machinery. Sometimes they need to provide their own engineered solutions – as in the case of their Frankenstein Machine, pictured at right. This machine was assembled from various parts from other machines, so "Frankenstein" was really the only logical name for it. 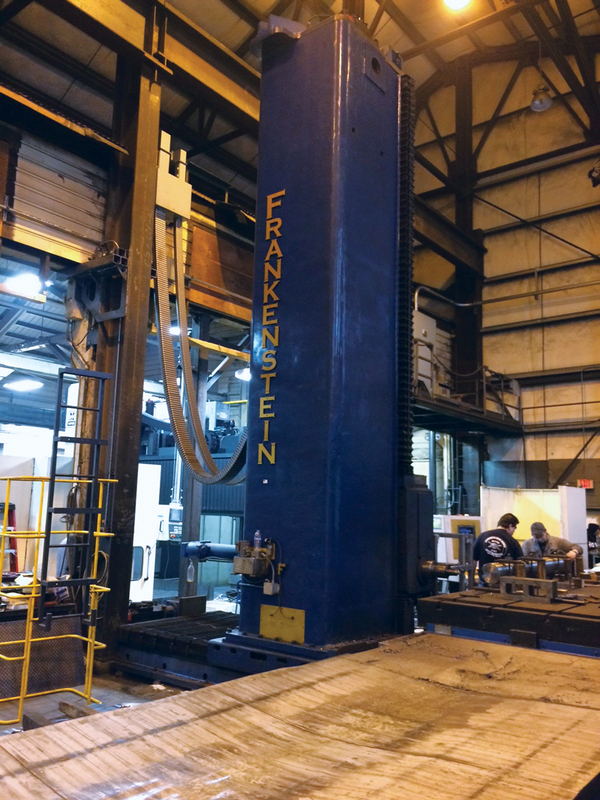 Frankenstein handles huge metal sheets, turning and cutting them into smaller sheets. With a 26 foot travel, all axes on this machine have a positioning resolution of 0.0001 inch. As those huge metal sheets move, it’s critical that the feedback of the motion is absolutely correct. For the intricately engineered solutions Peninsula provides, the metal cuts must be exact. To provide motion control feedback for the massive Frankenstein, they needed a linear encoder solution. They had some very specific requirements, so Peninsula came to EPC. They trusted our expertise, because we’ve cross-referenced several encoders for them before, and they knew they could trust the quality of our encoders. Have a robust, fixed, rack & pinion track system made of stainless steel, to withstand the environment. Provide bi-directional feedback, since the sheets move forward and backward during the machine operation. Offer Line Driver Output, to be compatible with their existing system. Once our Technical Services department understood the requirements of the application, the solution was obvious: the Model TR2 Tru-Trac™. “EPC encoders are our preferred brand of encoders. 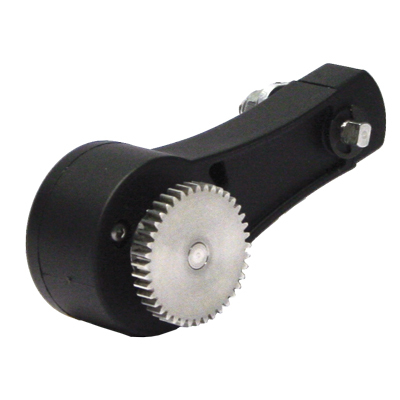 We started replacing a different brand of rack & pinion encoders several years ago. The TR2 system from EPC has proven to be more reliable, easier to maintain, and more cost competitive than other systems used in the past,” explains Dave Logan of Peninsula Iron Works. To read more about how the Tru-Trac™ Model TR2 was the perfect solution for this application, read the case study here. Or watch a video about the Model TR2. If you have questions about how an encoder will work in your specific application, contact us. When you call EPC, you speak to engineers and encoder experts who can answer all your questions. Visitors to our booth can see our new absolute hollow-bore, the MA58H. And they can get a demonstration of the software on our new line of programmable Accu-CoderPro™ encoders, the shaft Model 25SP and the thru-bore Model 58TP. Encoders use different types of technologies to create a signal, including: mechanical, magnetic, resistive and optical – optical being the most common. Frankenstein CNC and electrical system at Pennisula Iron Works designed and built by Electric Machine Control Systems, Inc.